A hidden gem in the heart of NYC. A boutique hotel and urban oasis providing a unique travel experience whether you are staying for business or pleasure. All newly renovated guestrooms feature luxurious pillow top keetsa beds 42 inch Flat-screen TVs minibar with locally curated snacks and beverages micro fiber robes and complimentary WiFi. Locals and guests enjoy breakfast lunch and dinner at the onsite restaurant -Treadwell Park- a neighborhood restaurant with an outdoor dining option. Enjoy the Sky Deck and Retreat outdoor event space for an unforgettable meeting experience. Guests also have access to our 24 hour Fitness Center. Cachet is minutes away from Times Square Javits Center Hudson Yards Chelsea Art Gallery and is conveniently located near subways rail and transit services. There is a daily Experience Fee of 30 USD plus tax that allows the Hotel to extend the following value-added amenities which other hotels charge for individually. Continental Breakfast for 2 2 bottles of Fiji water daily complimentary worldwide phone calls and WiFi. 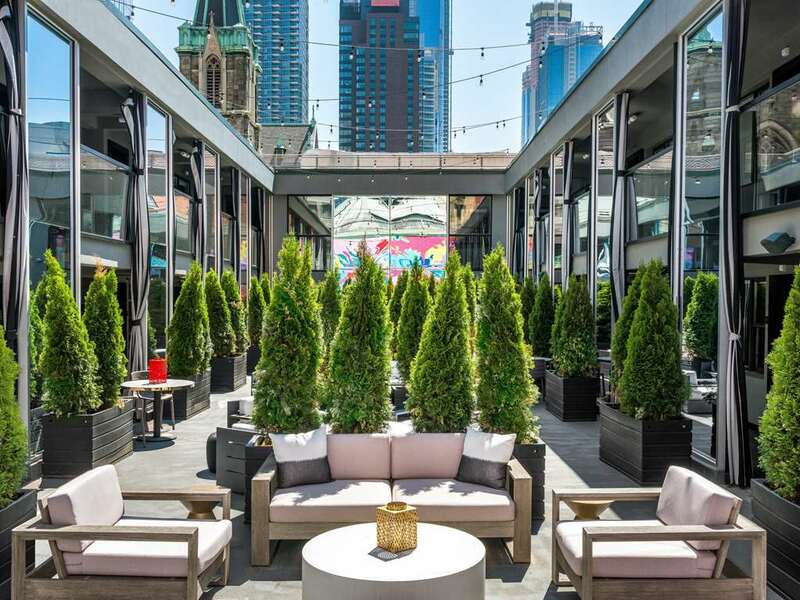 Cachet is minutes away from Times Square Javits Center Hudson Yards and Chelsea and is conveniently located near subways rail and transit services. Credit Card Guarantee is Required upon Booking.. Additional Information - A valid credit card is required to guarantee first night s room and tax.